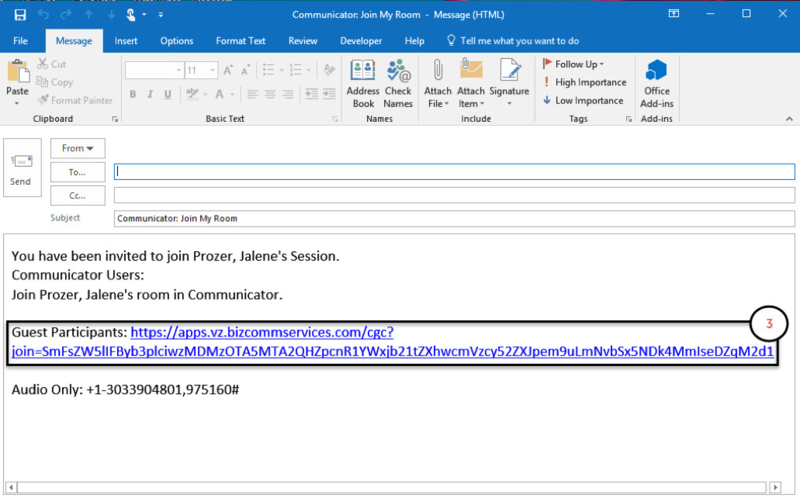 My Room is a collaboration tool used to perform Group Chat, initiate a Conference Call or Video Call using a Conference Bridge, or to perform Desktop Sharing with multiple people. You can enter another Contact’s Room as a Guest, or invite Contacts to join your Room. Joining a User’s My Room Session as a Guest Participant without an account. A.	Inviting Guest participants without an account. To join a User’s My Room as a Guest without an account, you must receive a link to the session. Once in the Room you can participate only in group chat, and view screen.